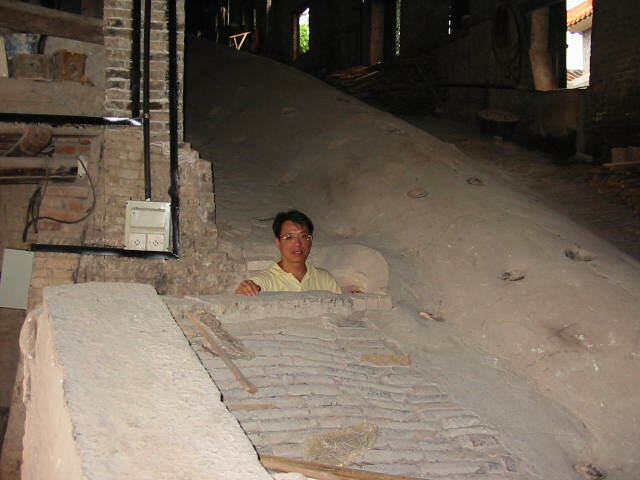 I just returned from a visit to Shiwan over the weekend. 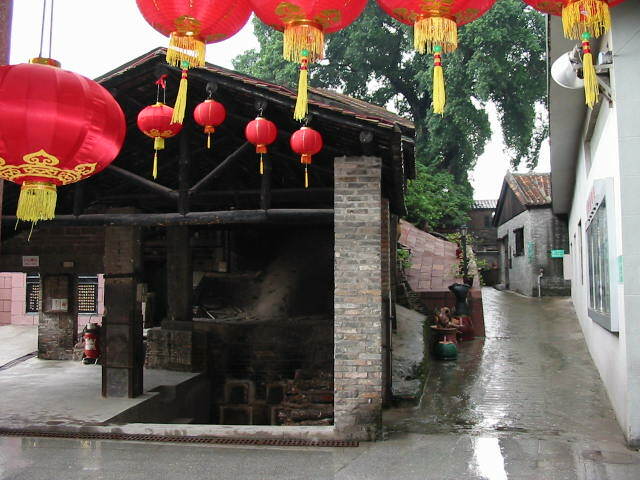 The following photos are from the best preserved Shiwan "Dragon Kiln" which was built in the Wanli period, the villager told. 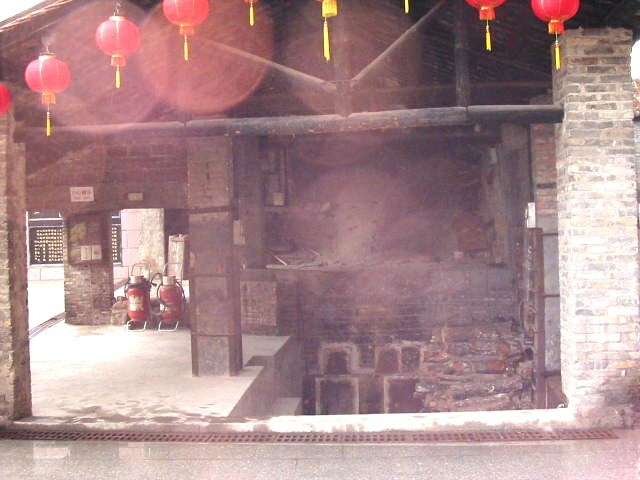 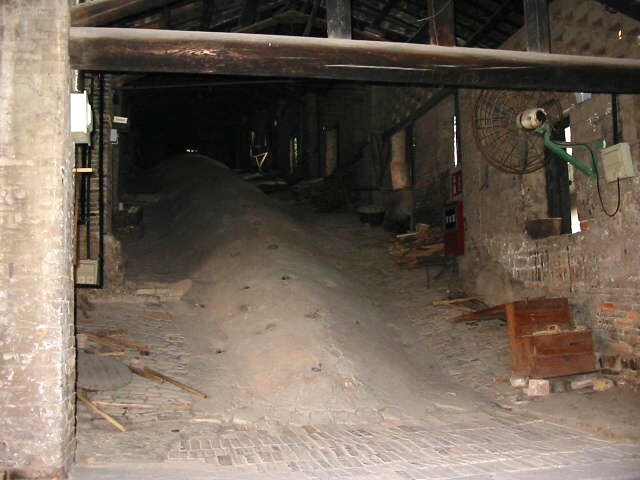 The peak period for this kiln area was in early Qing Period when about 100 kilns like this were in operation. 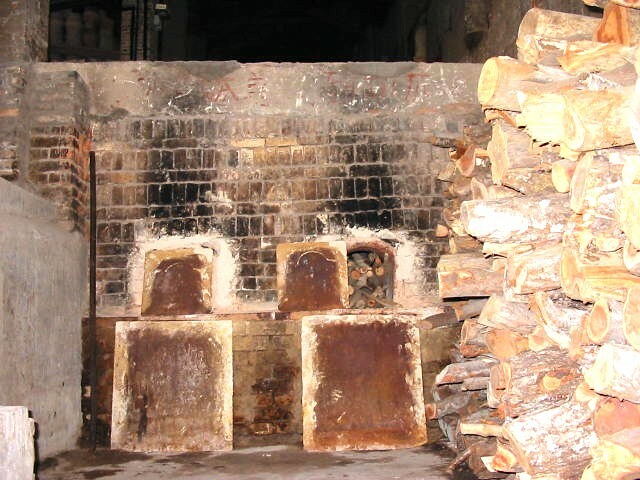 This particular kiln is still in operation now. 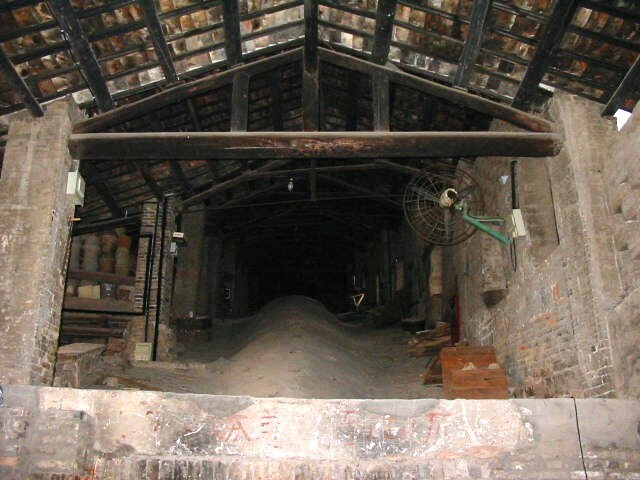 This is a fire eye - a slot for to add fire wood into the "dragon kiln" during firing. 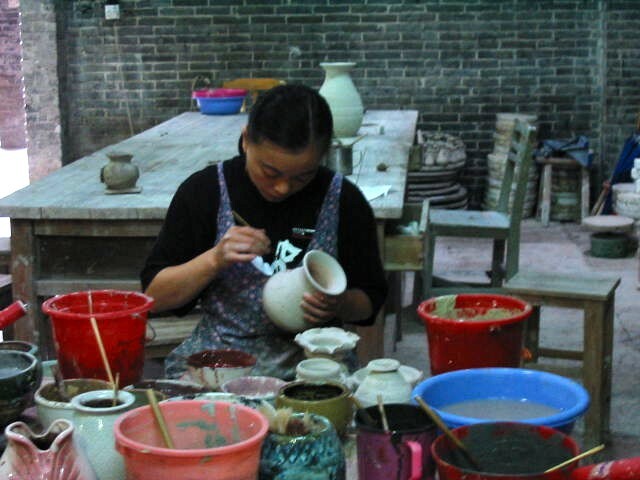 Finally here is a typical Shiwan Hua You ware jar of some age. 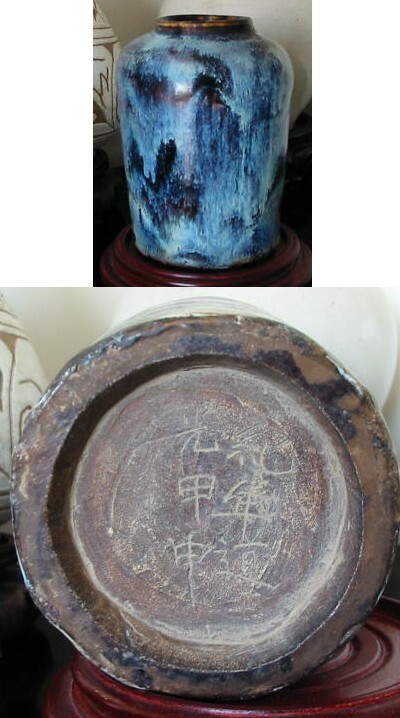 The base carries a collector's mark that reads: "Circa Daoguang Jia Shen Nian" meaning "Daoguang c. 1824".